Alfa Romeo 2.0 JTS injector 0261500013 GT GTV Spider 156 in excellent working order, recently ultra sonically cleaned. Fully tried and tested prior to removal. Please note price is for 1 individual injector we have more available. Buy with confidence any questions welcome. Model: 159. HFIR0254 Fuel Injection Rail. Part Type: Injection Rail. Fuel type: Diesel. Year: 2011. Vehicle Colour: Grey. Require different parts from this vehicle?. Opening hours. Model:MITO LUSSO. Fuel Type:PETROL. Year: 2009. Model: GIULIETTA. Year: 2014. 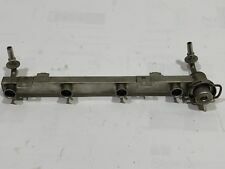 HFIR0254 Fuel Injection Rail. Part Type: Injection Rail. Fuel type: Diesel. Vehicle Colour: Black. Require different parts from this vehicle?. Opening hours. Removed from a running 2005 156 2.4 20v Jtd multi-jet 175bhp this is for the fuel rail and sensor pipes all other parts available on request as a buy it now. Part Type : Fuel Injector. Fuel type : Diesel. Year : 2006. Model : GT. GT 2004 -2012 Mk1. Vehicle Colour Our Vehicle Reference Number : 00352176. Engine Size : 1910cc. 55203803, A501. FUEL PRESSURE REGULATOR PART NUMBERS INCLUDE. REG NUMBER MH08 CNF. 2010 2011 2012 2013 2014 2015. 0445214058, 55209575, BOSCH. FUEL RAIL & PRESSURE SENSOR PART NUMBERS INCLUDE. REG NUMBER MH08 CNF. 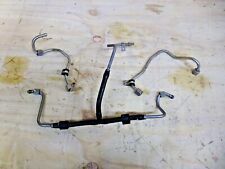 Fuel rail for Alfa 16v twinspark engines. 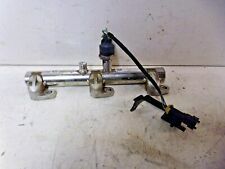 Fuel Rail (For Fuel Injectors). PART NUMBER : 0280142471. PETROL FUEL FEED PIPES. PART NUMBER : 0280158330. 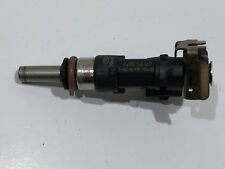 BOSCH PETROL FUEL INJECTOR. PART NUMBER : 0280151300. PETROL FUEL RAIL. It Has Been Tested In Good Working Order. Other Details: Mk1 2.4 JTDM Diesel 05-11 2.4 JTDM Injection Rail Bosch 0445215018 55200267 With Hard pipes to Injectors. AB30-38, AB44-56, FK17-99, G83, IV1-28, IV30-39, IV52-54, IV63, KW1-14, PA21-33, PA34-40, PH18-26, PH30, PH31-41, PH49-50. 2008 2 009 2010 2011 2012 2013. CONDITION - GOOD WORKING ORDER. (Other Details: 1.9 Diesel 8v 01-09 1.9 Diesel Injection Rail Bosch 0445214095. This item was removed from a 2008 vehicle. Jersey, Guernsey, Scilly Isles) as well as for the Scottish Highlands. Good Condition 100% Working Order. (Other Details: 1.9 Diesel 8v 01-09 Single Diesel Injector 0445110276. Jersey, Guernsey, Scilly Isles) as well as for the Scottish Highlands. Glow plug relay 55203394 in good condition. model was made from 2010 to 2017. you can search for all parts currently available from this car by entering the reg mw60ubs in the search bar. Engine 1956cc Engine code 940a4000. Item Specifics:2000-2011 - MK1 - 1.9 DIESEL - INJECTION PUMP - PART NO 0445010071. Part:Injector Pump (High Pressure). This Injector Pump (High Pressure) was removed from a2006 car and has been fully inspected. ENGINE 1.9 JTD 115HP DIESEL. MODEL 156 TURISMO. ITEM CONDITION. MILEAGE N/A. PAINT COLOR GREY 680. Part no. 140. they do not reflect the actual state of the part. BRERA - 2.2 JTS. 159 - 2.2 JTS. SPIDER - 2.2 JTS. VM08B VM32B. Diesel fuel pump repair kit / seals kit. for diesel fuel pump rebuilding. REPAIR KIT DOES NOT INCLUDE SHAFT SEAL. gaskets and seals. of your fuel pump. Injector Injector Nozzle for JTS Alfa Romeo 937 GT 0261500013 64TKM!!! Part codes: 55187887, 0445214058, 0281002534. Power: 110kw, 1910cc. Manufacturer: Alfa. Fuel type: diesel. No weekend or after hours dispach available. Part codes: 46759343, A883. Power: 129kw, 2400cc. Manufacturer: Alfa. Model: 166. Fuel type: diesel. The part is used: An item that has been previously used. Steering: lhd. Type of gearbox: automatic.